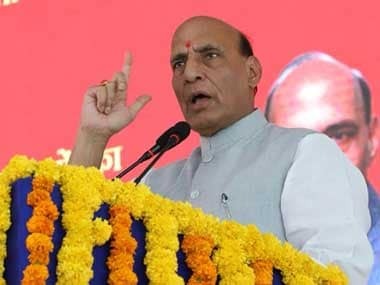 Lakhimpur Kheri: Kashmir is still a challenge for India due to destabilising activities carried out by Pakistan, Union Home Minister Rajnath Singh said in the Uttar Pradesh town on Monday. He was talking to reporters after inaugurating the administrative building, residential block and officers' mess at the Sashastra Seema Bal sector headquarters at Lakhimpur Kheri. "Kashmir is still a challenge due to destabilising activities by neighbouring Pakistan. However, the Army, the CRPF, the J&K police and intelligence bureau men are acting in better coordination," he said. 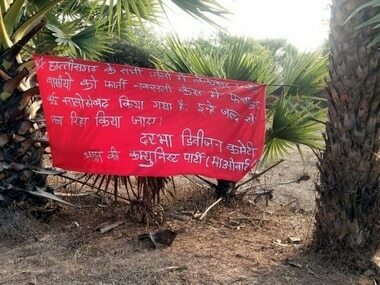 Speaking about Maoist attacks, the home minister said they had dropped by 50 percent during the last four years. Extremist violence in northeastern areas saw a decline of 80 percent, Singh said. 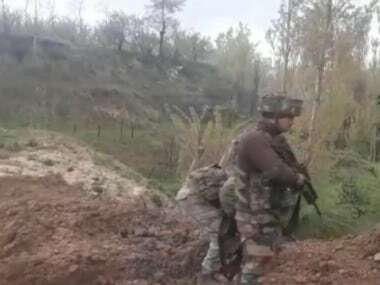 Lauding improvements made on the internal security front, he said, "No major terrorist incident had taken place in India during the last four-and-a-half years (of the Narendra Modi government)." Singh said the country's economy at this point is counted as the "world's fastest growing." "By 2030, the Indian economy will rank among the top three economies of the world," he said. "The Modi government has launched the world's largest universal healthcare scheme Ayushmaan Bharat which has benefitted 7.5 lakh people so far," Singh said.